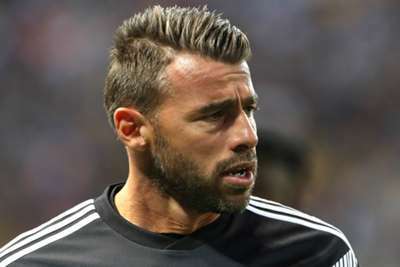 Juventus have announced further tests will be carried out on Andrea Barzagli after the defender strained a calf muscle in training. Barzagli, 37, is yet to make a Serie A appearance for the champions this season after Leonardo Bonucci's return from AC Milan bolstered Massimiliano Allegri's options at the back. Veteran centre-back Barzagli sustained the injury in Thursday's training session but initial tests have ruled out a serious tear for the former Italy international. "The defender will undergo further examinations in the coming days," Juventus said in a brief medical update on Friday. Juve host second-placed Sassuolo on Sunday seeking to extend a solid start to the 2018-19 season, with Allegri's men top of the table with maximum points after three games. However, record signing Cristiano Ronaldo is yet to open his account for his new club after joining from Real Madrid in a shock deal worth €112million.